MILAN -- Ferrari, fabled for its fast cars on roads and race tracks, is packing some extra speed into its factories, too. The Italian supercar maker, spun off from Fiat Chrysler Automobiles NV in 2016, plans to boost production by doubling assembly shifts to two a day in 2018 as deliveries are on pace to reach its 9,000-vehicle target a year earlier than scheduled, according to people familiar with the matter, who asked not to be named as the matter isn’t public. A Ferrari spokesman declined to comment. The increase is part of CEO Sergio Marchionne’s plan to boost profit by expanding Ferrari’s lineup while maintaining the exclusivity of its $200,000-and-up models. Marchionne, 65, will present the carmaker’s latest mid-term strategy early next year -- his final one at the helm of the Italian iconic brand. The plan will include Ferrari’s first-ever SUV as it targets annual sales exceeding a self-imposed 10,000-car limit that until now has enabled it to operate under less-stringent fuel-economy rules, people familiar with the matter said in August. Goals include doubling operating profit to about 2 billion euros ($2.35 billion) by 2022, they said. The manufacturer raised its 2017 profit target last month as rollouts of limited-edition supercars, including the FXX K Evo racing model, help it achieve a long-held profit goal two years early. Adjusted earnings before interest, taxes, depreciation and amortization will total about $1.2 billion this year. 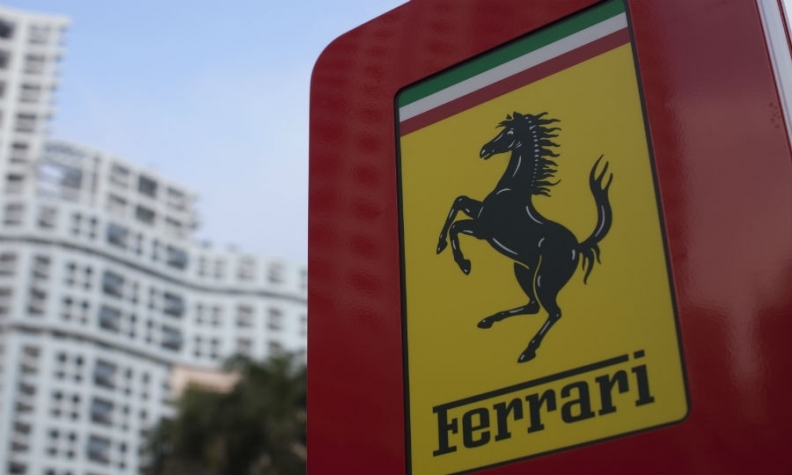 Ferrari planned to reach full-year sales of 9,000 cars in 2019, according to filings for the carmaker’s U.S. initial public offering in October 2015. Ferrari stock has more than doubled since its debut on the New York Stock Exchange, and its 83 percent gain this year marks the best performance among U.S. automakers in 2017, to value the company at $20.1 billion. Sales growth is being driven as the population of wealthy individuals surges. The number of millionaires worldwide surged 36 percent to 13.6 million people in the 10 years through 2016 and may rise another 37 percent in the following decade, according to the Wealth Report by real estate company Knight Frank. The number of billionaires increased 45 percent in the period, boosted by gains in the Asia-Pacific area. Ferrari’s production could increase about 7 percent to 9,000 cars in 2018 from about 8,400 this year, the people said. The carmaker’s output tends to track its deliveries, as Ferrari has a waiting list of more than 12 months for most of its models. To preserve its exclusivity, Ferrari should always sell one car less than the market demand, Marchionne has said, citing the carmaker’s founder Enzo Ferrari.